Malky Mackay has reassured Cardiff City fans following the midweek home defeat to Brighton. Cardiff's lead over second-placed Hull at the top of the Championship was cut to five points after losing 2-0 to Brighton. The defeat ended a nine-match unbeaten run which had seen the Bluebirds open an 11-point lead at the top of the division in late January. "I've got great empathy with our fans," Mackay said. "All I would say is stay strong [and] stay with us because we've got very professional people working here. "We're working very hard every day to make sure we try and get where we want to be. "We've got to make sure that we keep looking forward. "It's good copy to talk about where everyone is, but really I will be doing that when there's three games to go. "It's about keeping steady and keeping focused on what you're doing yourself, not what other people are doing." Mackay said he was happy with the way his side played against Brighton despite suffering only their second home defeat of the season. And the Cardiff manager added he did not feel the need to assess the defeat any differently to previous games this season. "I don't do inquests," Mackay added. "We debrief after every game whether we win, lose or draw. "It's about being professional and doing it properly - looking at the good points and looking at the points that aren't so good. "We created enough chances to win three games. Had we not created chances, that's when you say 'right we need to do something different'. "We've spoken about it, analysed it and now we head towards Wolves." 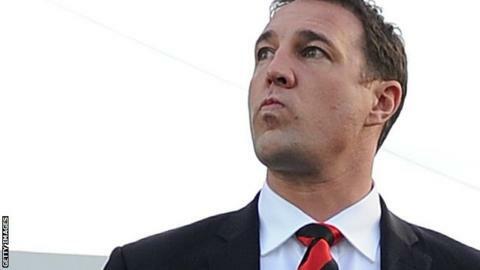 Mackay said he would not be taking Sunday's opponents Wolves lightly, despite their position in the Championship's bottom three. Cardiff will once again be without young defender Ben Nugent for the trip to Molineux. "Ben Nugent's still got the dead leg so will not be involved in the squad," Mackay said. "That apart, we should have everyone fit from Tuesday night."